The insurance implications of marine pollution, and of other environmental problems involving ships, are the concern first and foremost of insurers who provide cover against the costs and legal liabilities resulting from it. Liability insurers commonly play a relatively active part in responding to incidents of this kind. These cases are commonly governed by legislation making insurers directly liable for claims. Their potential cost is relatively high, and often they call for experience of similar events in managing a response team with various forms of specialist expertise at its disposal. The subject therefore involves various issues of particular interest to P&I Clubs and other liability insurers. Costs and liabilities of this kind are generally not covered by policies insuring the hull & machinery of the ship concerned or its cargo. However the costs incurred for the safety of the ship and cargo, after an incident which puts them in peril, are often increased by the need for measures to avoid pollution. The question has sometimes arisen whether these costs are borne by P&I or hull and cargo insurers. 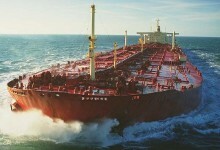 Another sector of the insurance market with an interest in this subject consists of underwriters protecting the interests of banks and others who provide ship finance. Pollution incidents involve a particular risk of their security on a vessel being lost or impaired, and this is reflected in the terms of cover provided by mortgagee’s interest insurers.